A woman runs into her forever love 11 years after they ended in heartbreak, calling into question her past, her present, and what will become of her future. 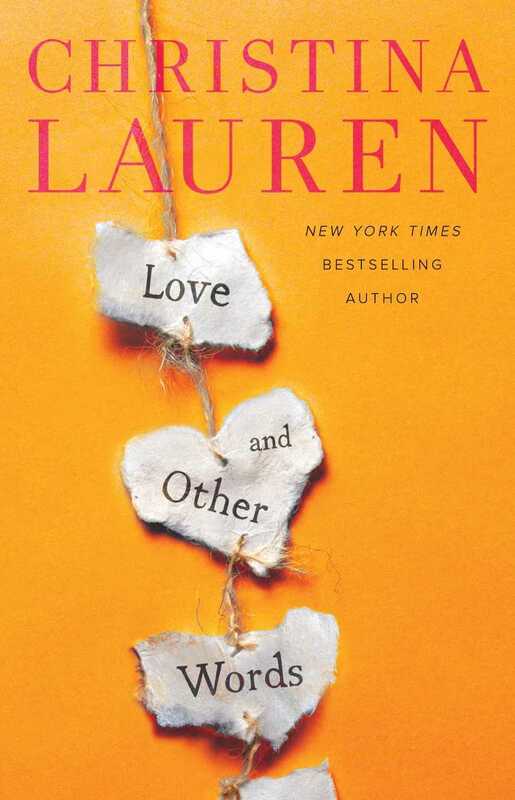 LOVE & OTHER WORDS is a beautifully crafted story of friendship and first love, of suffering loss and finding your soulmate. I felt every moment in this book, as two love stories unhurriedly unfurled—first, one of young love and whispered promises, and a second, a love that sharpened with time and did not abate… it had only been interrupted by time and truths unsaid. With past and present alternating chapters, we experience the story of Macy Sorensen. 10-year-old Macy’s life had been upended after her mother’s death, so they found a retreat in a house outside of San Francisco, where she meets the boy next door, Elliot Petropoulos, who was reading in her closet. From that moment, Elliott and Macy began to become each other’s everything. They were best friends who understood each other innately, who read together under closeted stars and grew up pressed close to one another. They fell in love, but kept things casual, fearful they would threaten the relationship they held so dear. Macy is now a doctor, engaged to a single father. Over time, she’s cultivated a life where she’s protected, where no one can hurt her. Her social circle is small and her relationship is easy in that it lacks the emotional gravity to break her. She’s not spoken to Elliott in eleven years, so running into him shatters her all over again, breaking apart the armor she’s forged in his absence. Elliott sees right through her, knowing that what happened one night so long ago, shouldn’t have been enough to end what they had. Together, they’re alive once more, so many feelings surging, cleaving through the lives they have now. But they’ve not dealt with the blow that shattered them, and if they are to confront the emotions they feel as adults, they must finally face why Macy vanished from Elliott’s life back then. You’ll fall for everything about this beautifully complicated love story. You’ll feel deeply for Macy and Elliott, swept away by the magic and chemistry of them. Funny, sweet, poignant, heartbreaking, hopeful—Christina Lauren’s narrative will evoke all the feels in their first foray into women’s fiction.